Unfortunately, the Pentagon’s ban denies today’s reality – everything digital is converging on the smartphone. Gartner estimates that 1.9 billion smartphones will ship in 2018. Comscore reports that since December 2014, smartphones have driven all growth in digital media usage, as desktops, laptops and tablets have all experienced modest declines. With users spending over three hours a day utilizing their smartphones, touching them between 65 and 130 times, it is inarguable that this Pentagon smartphone ban is reducing productivity and morale. Lost productivity has a cost, and conservative estimates leveraging the Office of Personnel Management’s 2018 pay tables from National Capitol Region reflect that even an hour of lost productivity for Pentagon employees could be costing taxpayers upwards of $2 million dollars per day. Likely more. There were certainly grounds for this decision, because while smartphones are undeniably the most complex and capable computing devices ever created, they are highly vulnerable to hacking, according to a recent DHS report. And in addition to going everywhere users go, they continuously collect information about these users and the environment around them. Original equipment manufacturers (OEMs) such as Apple and Samsung have invested decades and hundreds of billions of dollars into smartphone research and development because they understand the true value of these mobile digital devices. Their commercial value goes far beyond the device itself and lies in the vast amounts of data these devices collect. Data that can be sold over and over to various groups for various purpose. A growing form of data collection is done via mobile surveillance - the act of capturing data through smartphone cameras, microphones and location-tracking sensors. While examples of both the threat and consequences of mobile phone hacking are numerous, a good example that relates directly to the smartphone ban at the Pentagon is the Department of Homeland Security’s confirmation that it has detected evidence of constant mobile snooping devices around Washington, DC – including the Pentagon – by hostile actors. 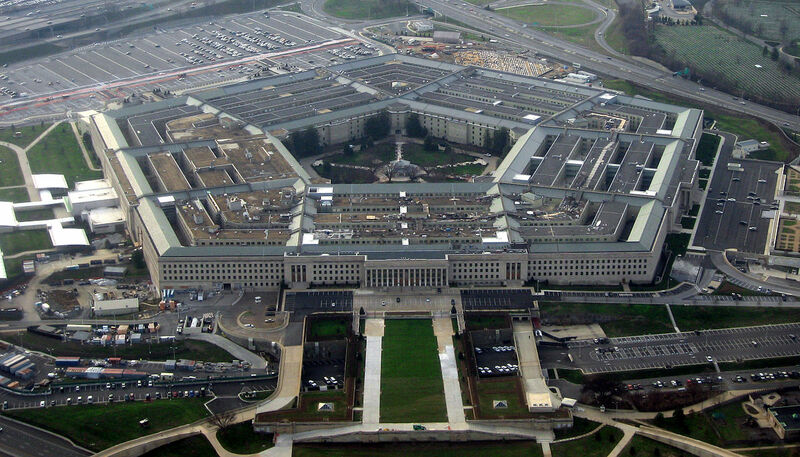 With an easily hacked device designed for surveillance, the cause for concern is obvious for Pentagon leaders entrusted with protecting our national security. Thus, the ban. However, in outright banning smartphones, DoD leadership is reducing employee productivity and mission effectiveness, costing taxpayers millions per day. This policy has left the Pentagon’s workforce disadvantaged. The speed of responding to communications, the ability to report when needed, the availability to adjust to new guidance and team collaboration are all significantly diminished. The benefits of enabling workers with a smartphone have been well documented. Frost & Sullivan reports that smartphone users gain back just under an hour (58 minutes per day) by using a smartphone for work, and they see a 34-percent improvement in overall efficiency. More than half of smartphone users report that they use their device at least half the time. Among those who use their smartphone at least occasionally, email, instant messaging and meeting scheduling are the top types of business applications used on their devices. Workers with smartphones also report gaining almost an hour of personal time per day. This significantly impacts workforce morale and recruiting. By instituting this smartphone ban instead of working to address the specific risks, DoD leadership is creating hurdles to productivity, hurting employee morale and recruiting, and ultimately creating a financial burden of taxpayer dollars. They are also not addressing the real issues. Recognizing the value of a technology and managing the risks is the right approach to balance national security and productivity, versus an outright ban. Let’s work together to find the right smartphone risk mitigations. Read more about SafeCase for iPhone and Privoro’s government smartphone security solutions today.